Sarnia is celebrating its 100th year of incorporation as a city in 2014. There are numerous events, tributes, and celebrations occurring all year long and the Sarnia Centennial Celebration Committee is promoting many on their website. The Lambton County Museums department is also joining the celebrations! The feature exhibit at the Lambton Heritage Museum (LHM) this year is Sarnia: We Built This City which explores how Sarnia has changed, the challenges it has seen, and where the City is going in the future. These flags were distributed to the crowds at the Incorporation Day Parade. 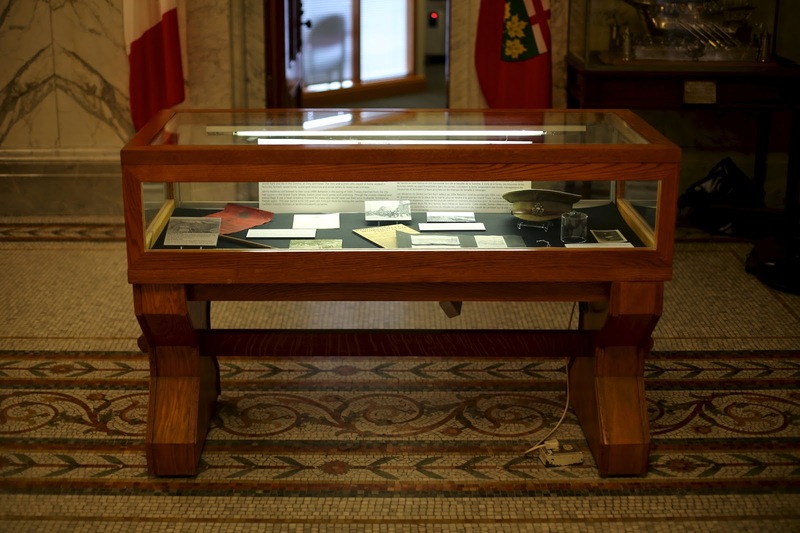 In partnership, the LHM along with the Lambton County Archives has created an exhibit titled The Imperial City at the Legislative Assembly of Ontario. This exhibit explores the festivities surrounding Incorporation Day in 1914 and contrasts that scene with the parade of 1916 where Sarnia bid farewell to troops heading off to fight in the First World War. Both days saw an emerging city come together in celebration and support but for very different reasons. This exhibit can be seen at the Legislature in Toronto from April until July and we've provided a peek at some of the most interesting images and artefacts here in this post. The Imperial City exhibit installed at the Legislature in Toronto. 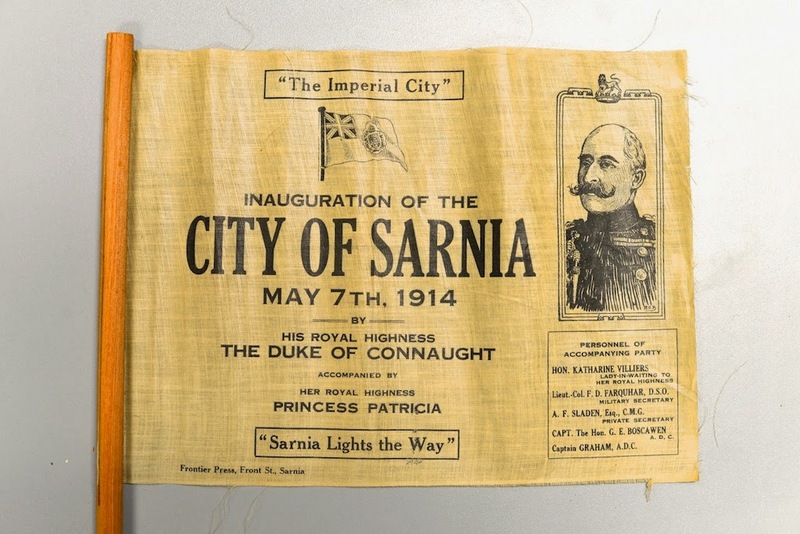 On May 7, 1914 Sarnia became a city. The day was filled with celebrations and the crowd that gathered along Front Street gave a loud welcome to Canada's Governor General, the Duke of Connaught, and his daughter Princess Patricia. A small village sixty years earlier, Sarnia had grown into a major industrial, manufacturing, and transportation centre. 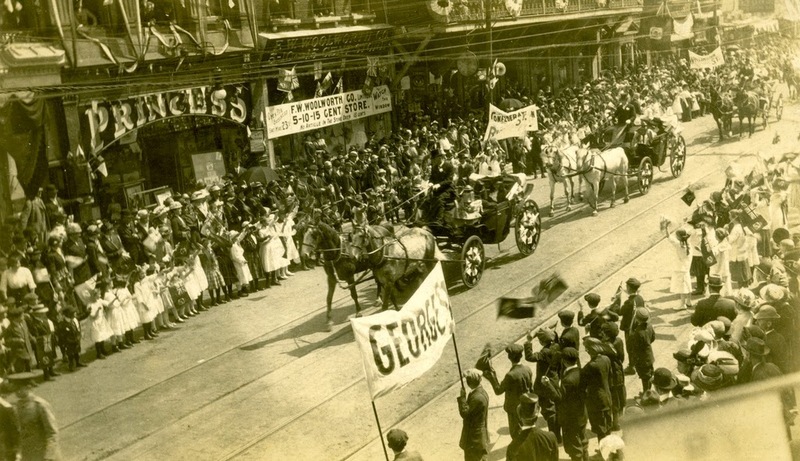 Citizens of Sarnia welcome the Governor General and his daughter in open top carriages along Front Street. Just three months later Canada entered into the First World War. Soldiers from Sarnia would fight and die in the Somme, at Vimy and Ypres. The men and women who stayed behind worked in factories farmed, raised funds, scavenged resources and wrote letters to loved ones overseas. 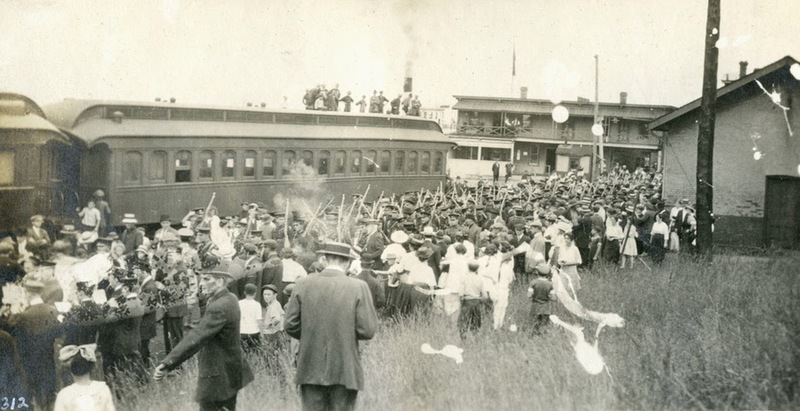 Sarnia residents bid farewell to their local 149th Battalion in the spring of 1916. Troops marched from the city hall square to the Grand Truck railway station amid much pomp and ceremony. Though the crowds cheered and waved flags, it was a heart-breaking moment for many who would never see their sons, husbands, brothers or friends again. Soldiers of the 149th Battalion board a troop transport train at Sarnia's Grand Trunk Railway station. Written by guest bloggers, Lambton County Archives Archivist Heather Lavallee and Lambton Heritage Museum Assistant Curator Luke Stempien.